Please keep the blog going I love to hear whats going on there. I love the pictures. I will probably never get over there so I enjoy hearing from you.Thanky you so much. My family and I were there a little over a year ago, and it’s been wonderful to see the many ways in which the castle continues to grow and evolve. If not for this blog, I might have thought of Eilean Donan as staying exactly as it was when we left it, instead of having new rooms opened, archaeological discoveries made, hosting concerts, enjoying the changing of the season (and the changing tourist traffic that entails), etc. I’ve loved passing along the updates to my family that were there with me, and I can’t wait to visit again as soon as possible to see what’s changed, and what has stayed the same! Many many thanks to you! Happy Birthday! Please continue with your blog posts, love reading about the history and current events ongoing with you. Haven’t visited yet, but will when I retire and have the time and money to visit properly. Thank you. Happy Birthday and keep up the good work. I realy enjoy reading about what’s going on as I was born four miles away from the Castle – thank you. Please keep the blog going. I am a writer and have a couple of blogs each month so I know it can be a pain at times when you don’t know what to blog about. So far, I think you’ve done a fantastic job. I love any of the little tidbits you can share about this amazing castle. 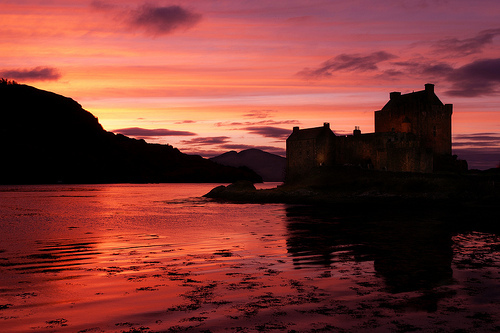 We spent 23 days in the Highlands four years ago this October and Eilean Donan is the place I think about the most. The castle featured on a lot of my blogger friends’ websites is Eilean Donan. I doubt you have any idea how beloved it is here in the States. Whenever I know someone is heading to beautiful Scotland I tell them your place is a must and, (wink) they must try a Million Dollar Bar in your eatery. Stellar!!!! Please keep this going. It is the bright spot in my day when there are new things to read about and see. My family came from Scotland to the states. I plan to visit soon, maybe even relocate to Scotland. I do hope you keep this going. I know it takes time from your already busy schedule. I appreciate all your work. Thank you and happy birthday! !